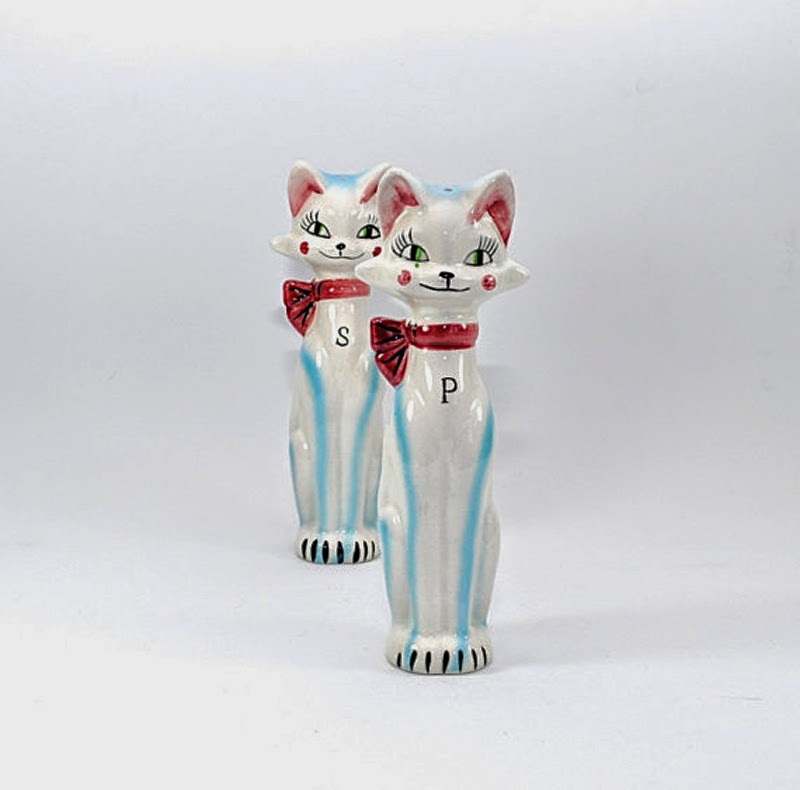 I do not need vintage cat salt and pepper pots..I do not need..oh who am I kidding..
Vintage plastic trays..OK these did end up in my basket, how could I resist! LOVE those stacking cups. 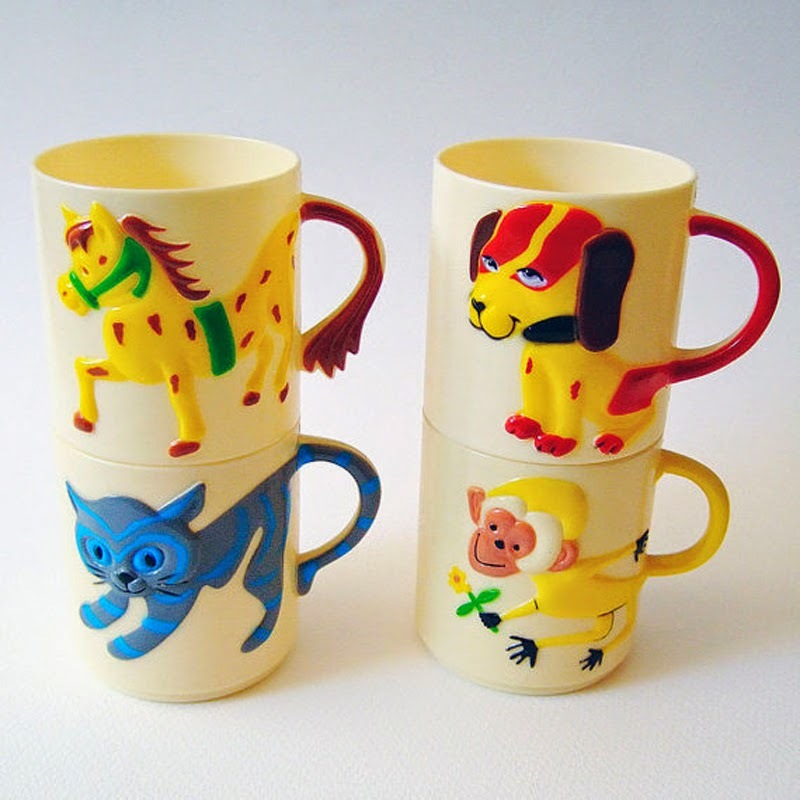 I find it so funny that lots of things I had as a child are now trendy again (I didn't have these cups but had lots of similar looking things). If only I'd hung on to them! The salt and pepper pots are amazing. So much more character than much of the stuff in the shops today. 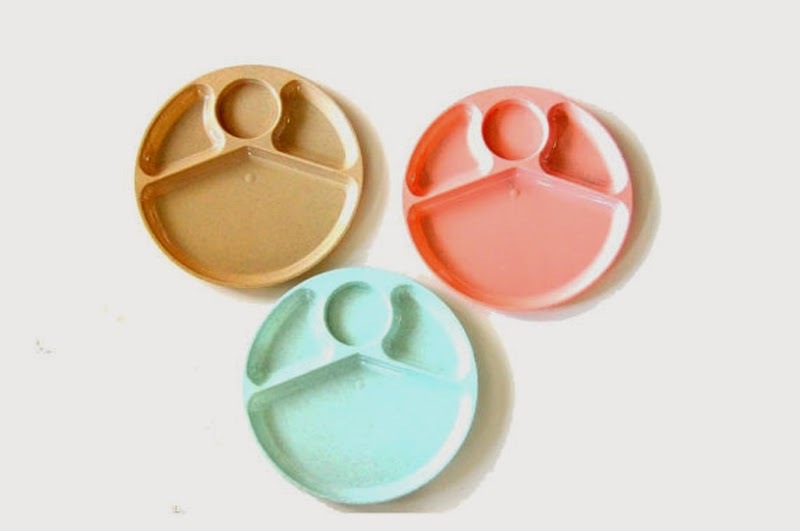 Those round divide plates remind me of lunch time trays at school! That dress is gorgeous. As is the 'freeze' game. Great idea! I love the square spiral notebook idea, or the mini snaps. Love the concept of this. I love the jigsaw - what a fun idea! Girls Ditsy Flower Dress is super cute! The Boys Under the Sea Swim shorts - are just fab! I love the Girls Dandelion Floatsuit. I love the idea of Polaroid snaps! The squaresnaps canvas is great. Love the greetings cards too. The greeting cards are so pretty! I like the square snaps canvas as it would make a great focal point in a room. I love the Polaroid style snaps! i love polaroid style snaps! The greetings cards look fab! I really like the greeting cards, something different and more meaningful than a shop bought card, even though Paperchase is my favourite shop! I like the mini snaps.